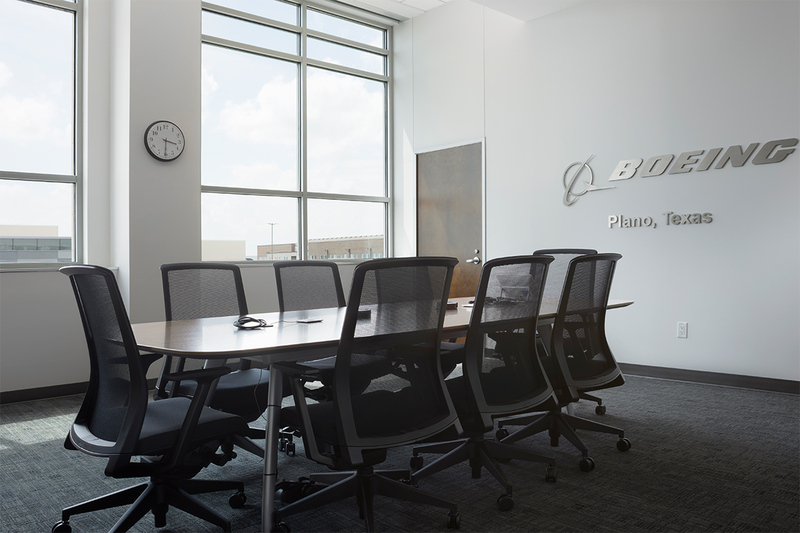 Aerospace firm Boeing decided to move its Global Services division to the new urban development Legacy West, located in Plano, Texas. 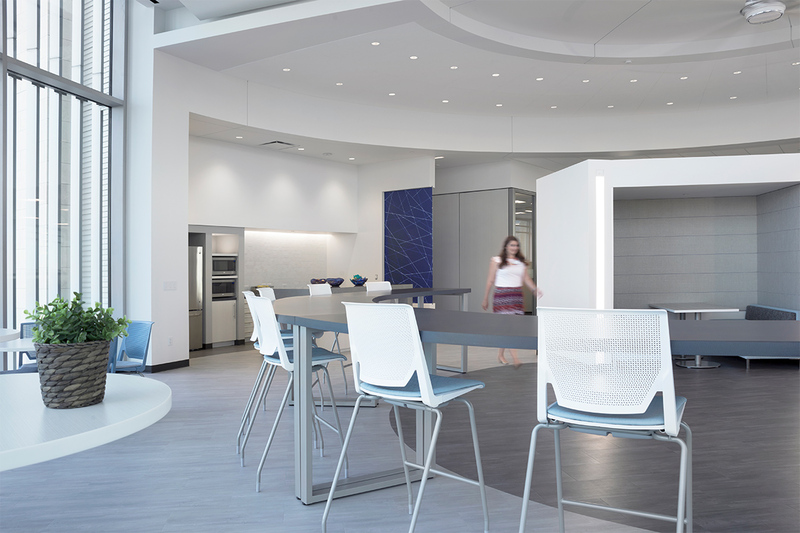 The company leased 23,000 square feet of prime office space on the top floor and engaged Abstract Construction to lead the $3 million interiors build-out project. 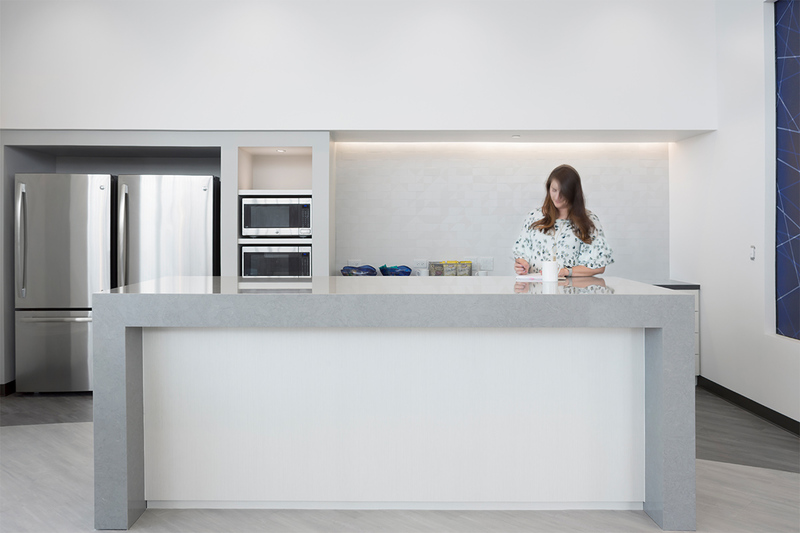 Guernsey was selected as the interior architect. 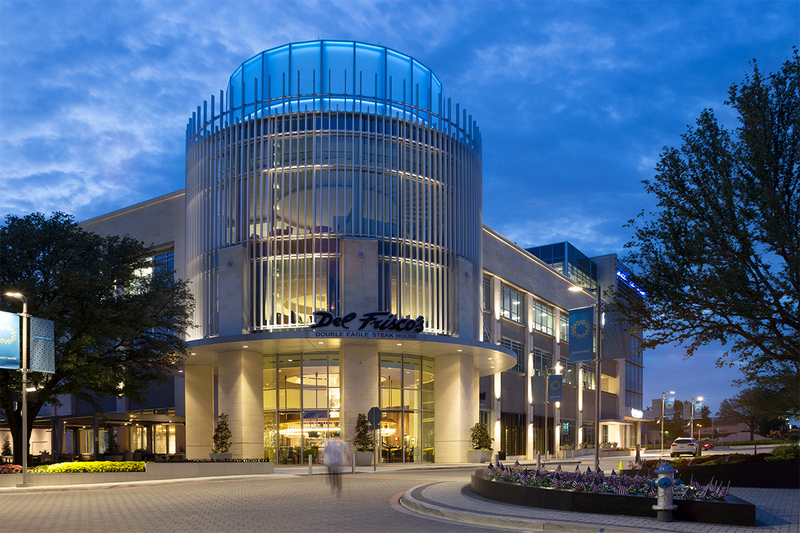 Legacy West is a 250-acre mixed-use development with thousands of people in the area day and night. 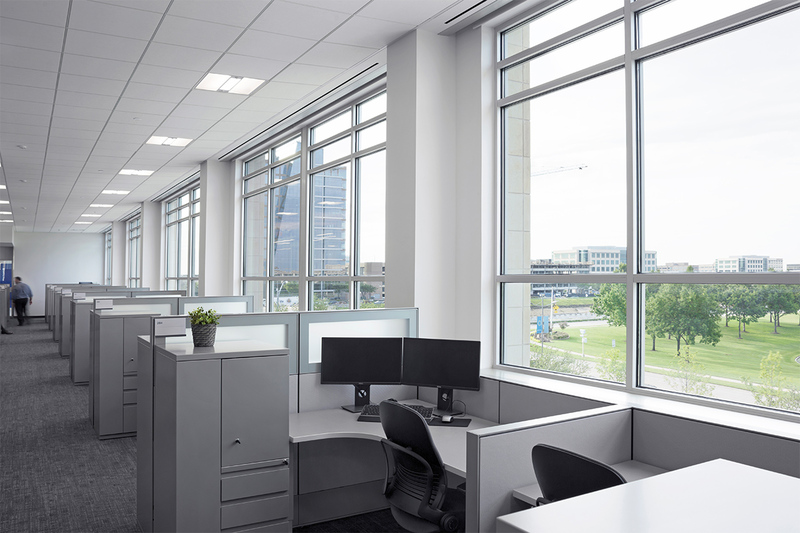 The Abstract team had to coordinate with vendors and subcontractors for deliverables, taking into account the requirements of several other high security companies located in the vicinity. 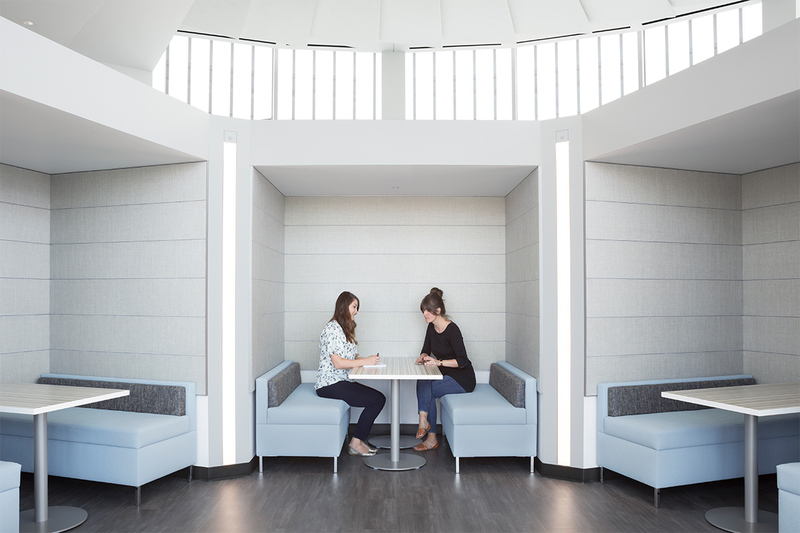 The key design element was the installation of a giant turbine-inspired custom ceiling fan surrounded by dozens of 10-foot wedge-shaped acoustical panels that together create the look of a jet engine. 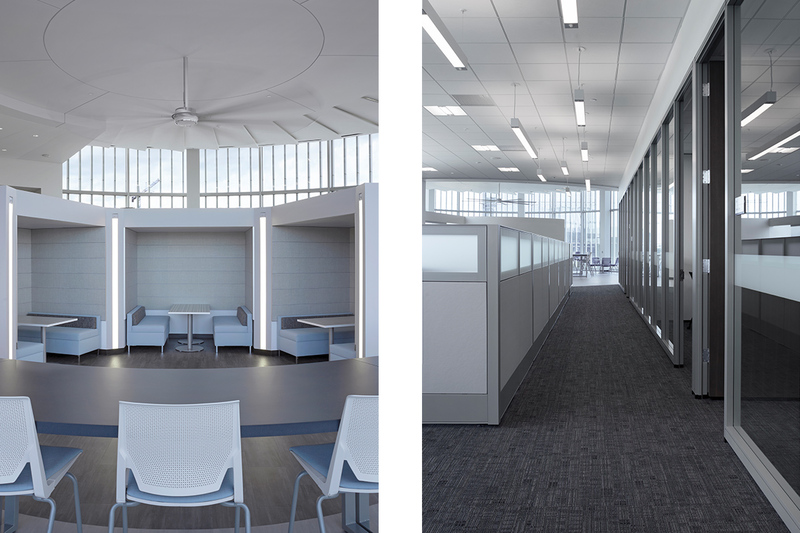 Because of the size of the panels and the location on the ceiling, this part of the project required precise planning, logistics, and a keen attention to detail. 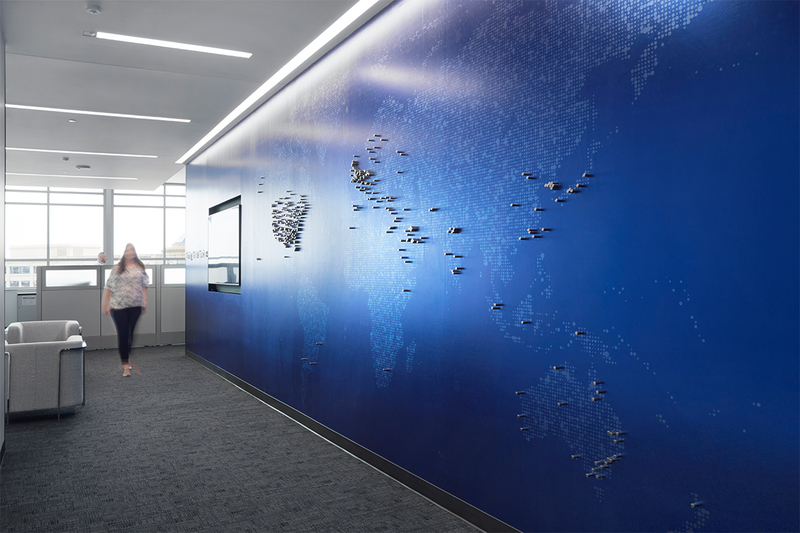 Abstract Construction oversaw all aspects of Boeing’s project, providing regular updates and reports to the client. 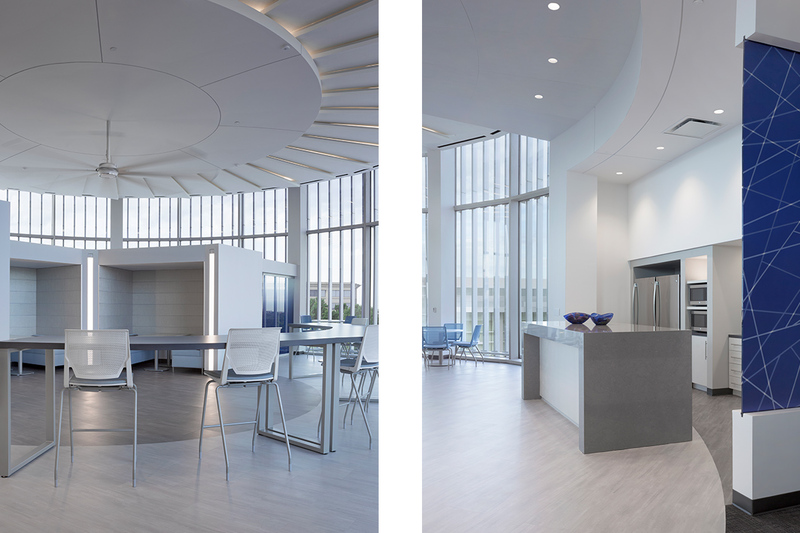 The build-out was completed in two phases and required coordination and continual communication to ensure all of the tight deadlines were met, particularly when managing long-lead times for the client’s custom elements. 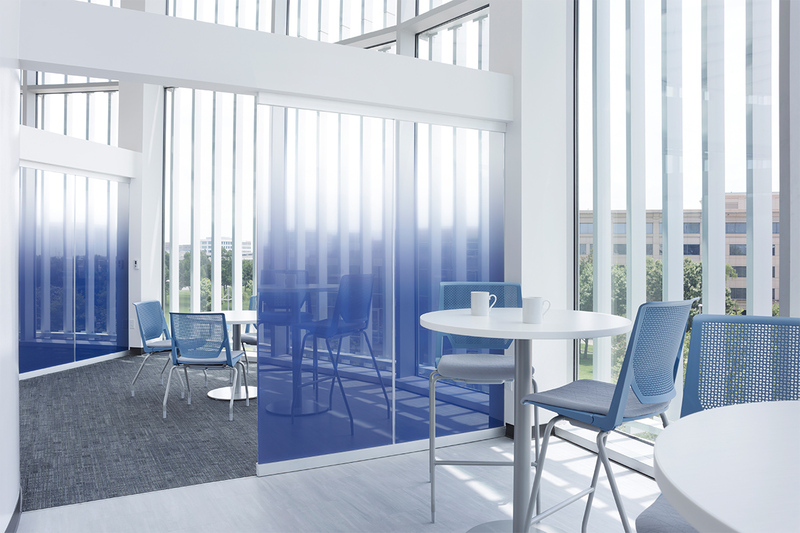 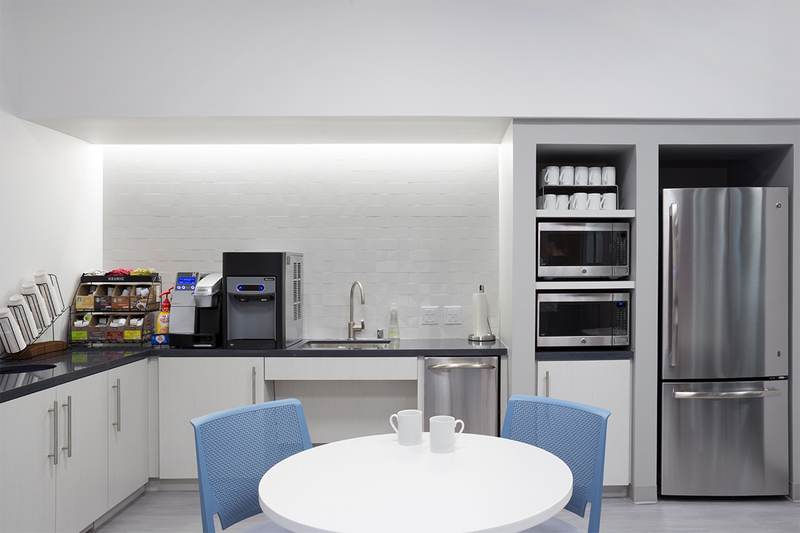 The project included the installation of demountable partitions, which provide Boeing with the flexibility to reconfigure individual offices and common areas as business needs change and grow. 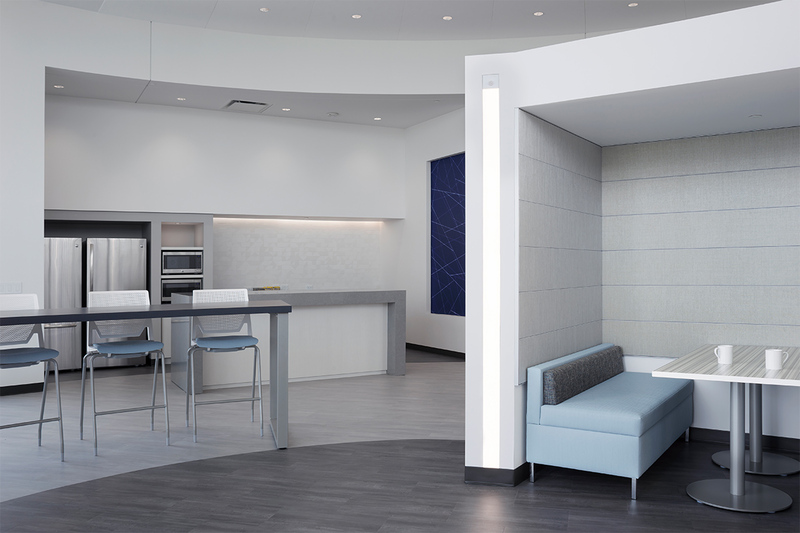 The new interiors reflect a clean, modern style, with Boeing blue accents on walls, seating, and graphics. 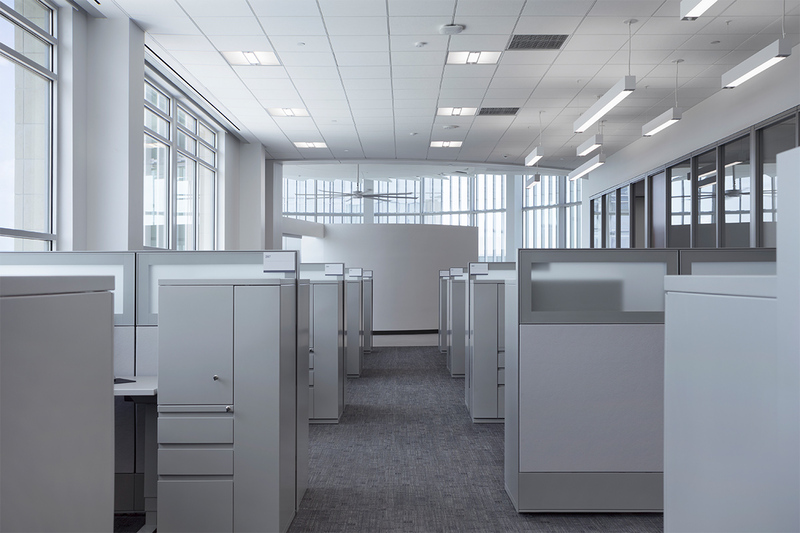 Boeing was happy with the results of this build-out and officially occupied the space in 2017. 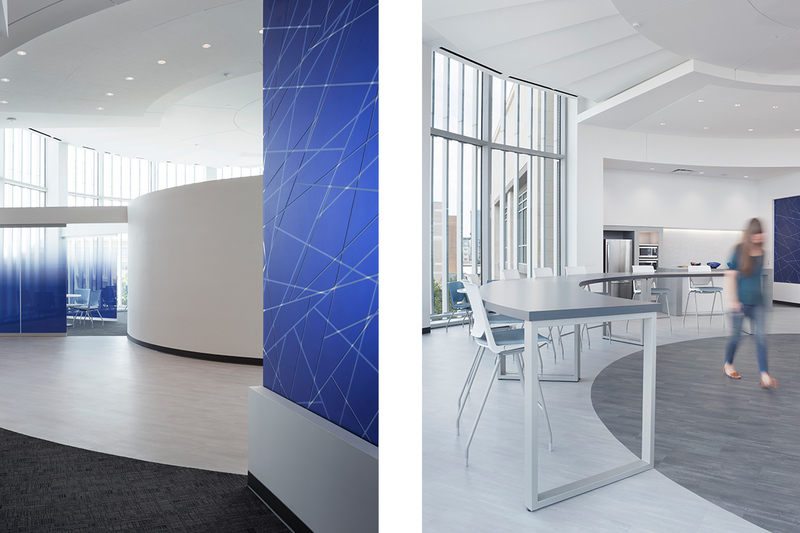 Abstract Construction has completed several other projects within Legacy West and has enjoyed a successful ongoing partnership with the development’s owners.